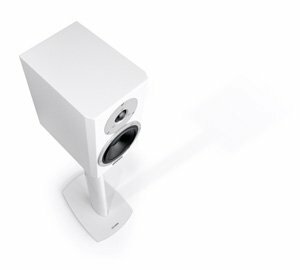 Dynaudio’s Excite range has been around for a while, addressing the lower echelons of the audiophile loudspeaker market. After a recent overhaul, the 4-strong Excite range now starts with the X14 at £900 and extends up to the 3-way, 4 driver floorstanding X38 loudspeaker at £2850, and includes a center speaker for AV applications. 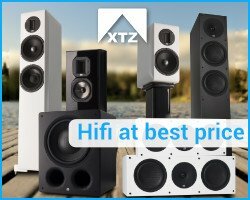 The X14 are small – 170 x 285 x 255 mm (whd) – standmount speakers weighing in at 6.5Kg each. Two way with a fabric dome tweeter and mid/bass cone driver, single-wired with just one pair of cable posts, and rear ported. Quite low in sensitivity at 85dB/W as you’d expect from a small speaker, but an easy (genuine) 8 ohm impedance load. The grilles are cleverly designed to attach magnetically – no unsightly holes or attachment points are visible. I must admit though, that I found the mid-grey colour of the grille cloth looked a bit drab against the lovely pristine coolness of the white lacquer cabinets of my review pair. But I wouldn’t keep the grilles on while listening anyway – more on that later! 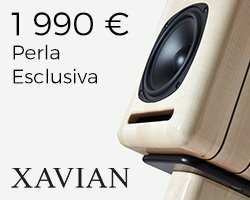 The Excite X14 is available in a choice of real-wood veneer finishes: walnut and rosewood, and also in Satin Black Lacquer and Satin White Lacquer finishes. The tweeters are protected in transit by a neat (bright orange!) plastic cover that attaches into 3 allen bolt holes around the dome. Clever – and also useful I would imagine if there are any small fingers around that might take a curious prod at the tempting little domes when the speakers aren’t in use. It’s astonishing how few toddlers can resist prodding at tweeters, bless them! 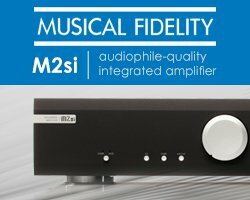 But actually, as well as touching most of the hifi price brands – from affordable sub-£1k speakers up to the astonishing $100,000 range-topping Dynaudio Evidence Master – they are also a technologically innovative brand in ways I wasn’t aware of before doing some research for this review. Drive-units are developed and manufactured in-house at their factory in Skanderborg, Denmark. They even use their own cone material (MSP – Magnesium Silicate Polymer) designed to optimise the balance between stiffness, lightness and inner damping. Woofers and tweeters use aluminium wire voice coils. This is unusual, as most other speaker manufacturers use copper. However Dynaudio argue that aluminium is much lighter and has better thermal behaviour (it stores less heat). More voice coil windings than if copper were used, while still achieving lower mass than an equivalent copper-coiled unit, and increased power handling allows the speaker to follow the amplifier signal more precisely without changing characteristics much when driven hard. This small speaker could certainly soak up power and provide a surprisingly full range and dynamic sound – so the theory would seem to be right on this point! Focusing down on to the review model in particular, the X14 has a “high 8 ohm” impedance, that is, without the dips down to 4 ohms or less, commonly found in others. So they should be an easy load for an amp to drive. The woofer is a long-throw design with a long voice coil and a lot of mechanical headroom in the spider/suspension, so while cone area is quite small a decent amount of air can nonetheless be moved! Once again, this technical advantage was obvious on audition. The tweeter is a 27mm coated soft dome design with a special coating material, and its aluminium voice coil is damped in a magnetic fluid (ferrofluid). Dynaudio prefers soft domes because of the suitability of their roll-on/roll-off characteristics with no resonance peaks, allowing an even transition to the mid/woofer and they say they have an even sound radiation/dispersion, matching that of the mid/woofer driver. 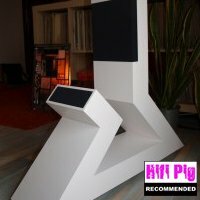 These are standmount speakers, so, yup, you guessed it, they need stands! Because of the rear-firing port, shelf mounting is not recommended, they do benefit from some space behind them. Dynaudio recommend their own Stand 3X stands, but I didn’t have these to hand, so I used some mass-loaded Atacama stands of identical (620mm / 24 inch) height. The traditional balance / compromise between image focus and soundstaging openness was optimised for me by having the speakers point a little way behind my listening chair. 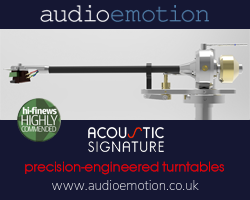 Dispersion is good, you don’t need your head clamped in a vice to keep it in a narrow sweet spot to ensure well balanced sound, and so good sound is not limited to a single listener in a room. Oh my – those grilles have just got to go! Transparency and detail are substantially improved when those covers are removed. To my ear, this easily doubles the speakers’ sonic prowess. Take them off when listening is my firm advice. This is a small speaker in a lower cost band of Dynaudio’s extensive range. You cannot expect them to do everything well, and they don’t. But their considerable virtues were rather different from what I had anticipated! Read on …..
Soundstaging and imaging is accurately atmospheric. My ultimate test track for this is Loreena McKennitt’s heart- rending song, Breaking the Silence (a tribute to Amnesty International) on her Parallel Dreams album. Near the start there is a flute-like pipe playing, set well back and to the right. So many systems and components totally fail to reproduce this image placement accurately, often resulting in an ill-defined amorphous blob of sound. The X14s, though, pretty much nail this with a well-focused image embedded within a natural reverberant acoustic halo. Lovely! So many components fail at this, they really do. Staying with the Parallel Dreams album, the 3rd track – Huron ‘Beltane’ Fire Dance – is as testing as any when it comes to foot-tapping rhythm. The X14’s performance here was good but not top drawer. There is a slight lack of midrange articulation that robbed the music of some of its frankly awesome rhythmic swagger. Toes were tapping, but not as fervently as they might! As previously mentioned, there is a mild slackness in articulation and this is noticeable on percussion. Deeper voices, as well, lose a little lucidity due to this. 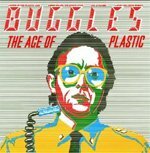 The track Plastic Age from the superb 1980 pop album Age of Plastic by The Buggles shows this well. The percussive thwacks that underpin this track (and much of the album!) lack a little in impact and precision. It’s not bad at all, and is as good or better than many, it’s just not up there in ‘best of class’. To assess resolution and transient speed in the treble and upper mids, to my mind you really cannot beat a well recorded harpsichord. Alan Cuckston’s heartwarming performance of Handel’s harpsichord suites are an excellent example. With the X14 speakers the spangy spikiness was just a little smoothed over, the individual notes slightly blending together. It still sounded yummy, but the excitement of the playing was a little more relaxed and less immediate than it can be. 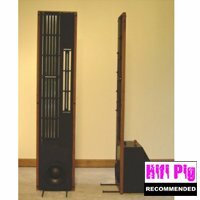 High frequencies were slightly emphasised, and the last smidgeon of crystalline clarity eluded these speakers. 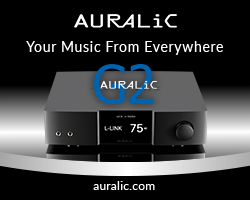 Some listeners will prefer them for that very reason – not everyone wants to be as close to the music as I do! Bass … the X14 are surprisingly full range for their size. 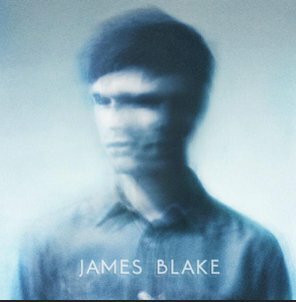 I played James Blake’s Limit to Your Love expecting a lightweight rendition that failed to even begin to capture the depth and power of that bass-line — Wrong! I couldn’t help but chuckle as these tiny speakers filled the room with deep vibrant low frequencies. No, intestines were not pummeled as they can be with genuine full-rangers, but this was pretty damn good! Piano, though, revealed the smaller cabinets limitations. There wasn’t the natural heft and sheer scale that a grand piano emanates at whatever volume level it is played at. The X14’s 50Hz lower limit is a bit high to capture the full natural resonance of a grand piano, it’s a bit lightweight compared to a larger full range speaker. The new Naxos CD of classical works by Marcel Tyberg shows this well – wonderful music, by the way! 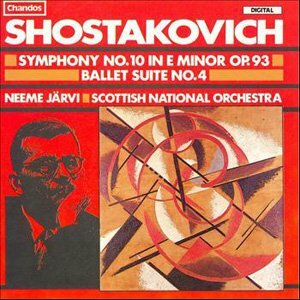 The Chandos recording of Shostakovich’s 10th symphony, conducted by Neeme Jarvi, is one of the finest recordings of orchestral music that I know – hugely powerful, whipcrack fast, exquisitely transparent. The symphony’s 2nd movement – allegedly a musical portrait of Stalin, full of aggressive punchy driving remorseless energy – is a real system-buster of a track. Most systems can’t get near this, many a full range speaker has been seen to quake in its boots when this track gets going! Well, this was a surprise of jaw-drop magnitude. The tiny X14s gave one of the best renditions of this massively dynamic and musically breathtaking torture track I have ever heard, putting many a large and far more expensive speaker to shame with their dynamism, precision and explosive energy. Cor, what an unexpected treat! Genuinely superb. Blues for Klook, on Eddy Louiss’s album Sang Mele, was also excellent, the jump-factor snap well caught and the deep powerful synth bass chords were, well … deep and powerful! As you would expect, the very deepest bass from this track was missing, though. Nonetheless, amazing stuff. Yeah, OK, but can they rock? 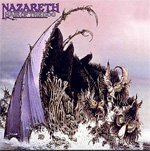 Nazareth’s Hair of the Dog album contains a completely awesome rock classic that very few folks seem to know about! Nearly 10 minutes long and carrying a huge emotional punch, the track “Please don’t Judas me” was conveyed with power, energy, precision, drive and, all-importantly, passion. I love the emotional power of this song, and played appropriately loud it sounded truly fine through the Dynaudios. The view from the distaff side (i.e. what my wife thought!) …. We had just listened and watched a DVD video of Gilbert & Sullivan’s operetta Iolanthe – one of our favourites. “So, what did you think of the little speakers?” I asked. “They really look good and well made, I like them a lot” she replied. “What about the sound quality?” I inquired. She kind of looked at me. Not usually reticent in such matters, I was surprised when she asked “What do you think?”. “Clarity is good” I opined – “Very good” said the missus. 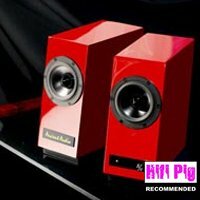 “Bass is impressive for such a small speaker” I hazarded. – “I preferred the bass to your big speakers, I don’t like it going so low” she replied. Women! Hah. What do they know? Should I depart this mortal coil sooner rather than later, the wife says she may well be onto eBay pronto to sell my beloved MBLs and would invest in a pair of these little Dynaudios! Amplification can be varied to suit your taste in presentation. My 250wpc Krell amp really got a grip and the Dynaudios seemed to have a limitless capacity to soak up the power. They just got louder as the volume level was upped to lease-breaking levels, no sign of degradation or limiting, let alone clipping. Power handling is specced at “>150W” – that seems fair. Everything was rather more relaxed and restrained with a 27wpc Topping TP60 t-amp. It went sufficiently loud in my 4x7m room, but it did lack the feeling of awesome power and control from the bigger, higher current amp. And some folks will prefer the more relaxed take on the music that this gives. Make your own choice in amplification, the Dynaudios will respond accordingly. 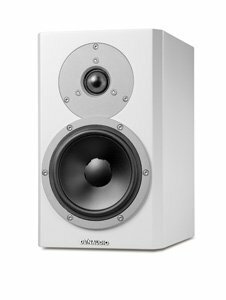 The Dynaudio Excite X14 is a small speaker and at £900 a pair excluding stands they aren’t at all expensive as such things go. So it’s only fair to expect some compromises. And compromises you do get – but probably not those you were expecting! They don’t quite have the fine detail resolution of the best mini-monitors, and they lack just a little in rhythmic swagger, sounding a tad ‘four-square’. And obviously they don’t do really deep bass, although they do surprisingly well for their size. But they image superbly and, counter-intuitively, these little babies excel at large scale music. 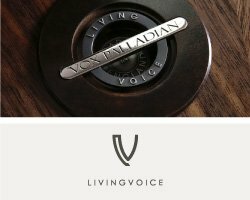 If you want big music conveyed with precision, power and passion from a beautifully presented small speaker and are considering spending a £grand or so, then these Dynaudios really should be on your audition list! 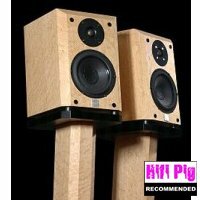 Review system: MBL 116F speakers, Krell KAV-250a and Topping TP60 power amps, Restek Consens active and Glasshouse passive pre-amps, Vincent CD S7 & McCormack UDP-1 CD Players.